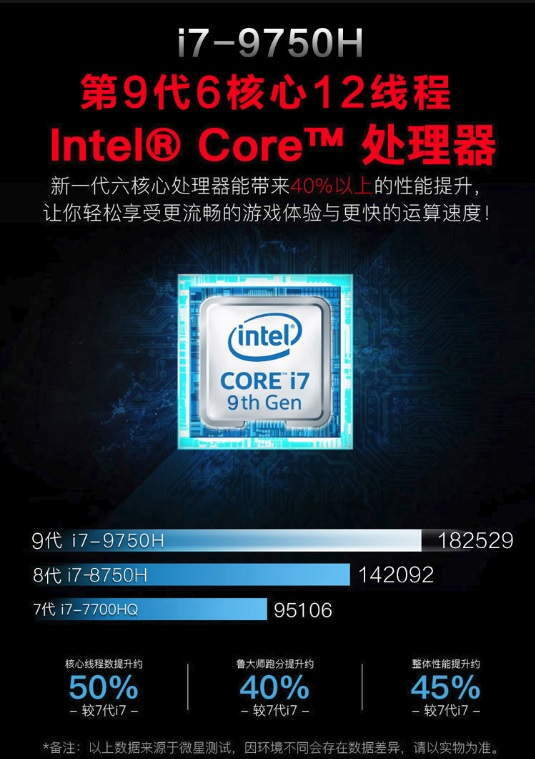 Two slides carrying Intel’s latest 9th Gen mobile lineup has been leaked (courtesy of momomo_us) that contains performance figures and other details of Intel’s upcoming Core i7-9750H mobility flagship along with the NVIDIA GeForce GTX 1650 GPU, that was recently leaked in PowerPoint slide from a recent Chinese retailer event on Twitter. The slide also reveals the upcoming MSI GL63 Gaming Laptop that will be powered by Nvidia GTX 1650 4GB graphics and the Intel Core i7-9750H. The first slide shows the details of Intel’s upcoming Core i7-9750H mobility chipset. The slide reveals that the i7-9750H will be around 30% faster than its predecessor. As for the GPU, the GTX 1650 will offer around 40% more performance compared to the GTX 1050. The upcoming Intel Core i7-9750H is said to be 28% faster than the 8750H, and 91% faster than the 7700HQ. The i7-9750H will be based on the super-mature 14nm process and will go against Intel’s 8th gen Core i7-8750H and AMD’s upcoming Ryzen 3750H mobile GPU. Next, up is the NVIDIA’s GTX 1650 4GB mobility GPU that has been confirmed by the new leaked slide. 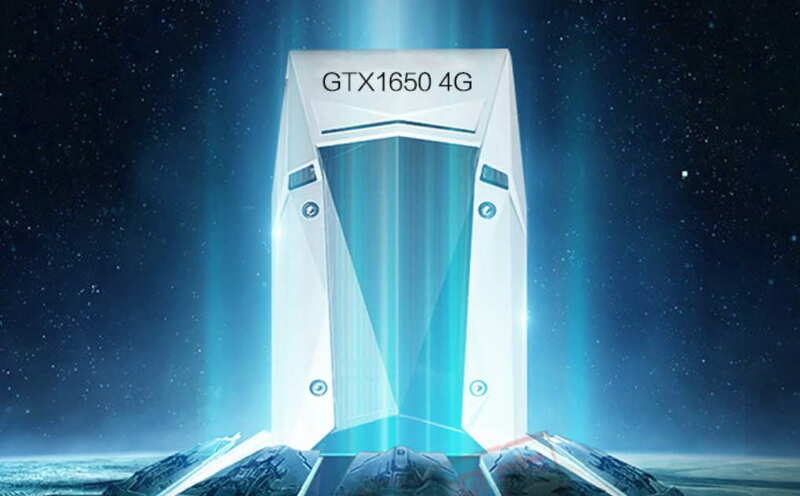 The GPU will boast a 4GB (GDDR5) VRAM with a base clock of 1395MHz. The slide also shares the 3D mark figures, where it shows that GTX 1650 will be 41% and 24% faster than the GTX 1050 and 1050 Ti, respectively. The slide also throws some fps rates of some popular titles such as GTA5, League of Legends, PUBG, Assassins Creed and Fortnite. However, the slide didn’t share the resolution on which this figure has been achieved. Lastly, the slide includes the MSI GL63 gaming laptop that will come featuring a 16GB of RAM, a 512GB NVME PCI-E SSD, GTX 1650 4GB graphics and the Intel Core i7-9750H. MSI GL63 will sport a 1920×1080 IPS panel display and will also include the option to downgrade the CPU to the Core i5-5300H. The laptop will weigh around 2KG. The slide also shows another variant of MSI GL63 with Intel’s Core i5-9300H. The new products are expected to be available at some point this year. However, there are no details on the pricing as of now.